Can I become re-infected with HCV? How often should I see my doctor now? How often should I be monitored for hepatocellular carcinoma (HCC)? Your doctor will decide how often you need to be monitored for cirrhosis and HCC (a common form of liver cancer in patients who have had HCV). Currently, doctors recommend that patients with SVR be monitored for HCC about every six months if the patient has cirrhosis.3 There is no time limit for monitoring, so this may occur for the rest of your life. Your doctor may want to do regular ultrasounds or other tests to monitor your for HCC. Are there changes I need to make to my lifestyle? Talk to your doctor about changes you may need to make after you have achieved SVR. Everyone will have different changes they need to make. Patients with fatty liver disease or Type 2 Diabetes may be asked to lose weight and watch their diet. Patients who use IV drugs or drink alcohol should talk to their doctor about how this affects their liver functions after SVR, and how these behaviors can be harmful.3 Your doctor can give you resources to help you make the right changes to keep your liver healthy. Is it safe to drink alcohol after SVR? Be sure to discuss these questions with your doctor. You may have other questions as well. It may help to write your questions down so you remember what you wanted to ask your doctor. It may also help to take a friend or family member along to your appointment, and ask them to take notes while you talk to your doctor. This can help you remember all the things you and your doctor talk about. Hill A, Simmons B, Saleem J, Cooke G. Five–Year Risk of Late Relapse or Reinfection With Hepatitis C After Sustained Virological Response: Meta-analysis of 49 Studies in 8534 Patients | CROI Conference. Croiconference.org. http://www.croiconference.org/sessions/five–year-risk-late-relapse-or-reinfection-hepatitis-c-after-sustained-virological-response. Published 2018. Accessed November 15, 2018. Follow-Up Care After SVR. HepatitisC.net. 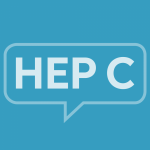 https://hepatitisc.net/treatment/follow-up-care-after-svr/. Published 2018. Accessed November 15, 2018. Jacobson I, Lim J, Fried M. Ohsu.edu. https://www.ohsu.edu/xd/health/for-healthcare-professionals/telemedicine-network/for-healthcare-providers/ohsu-echo/heptitisc-and-liver-care/upload/AGA-Guidelines-for-HCV-Long-Term-Monitoring-post-SVR.pdf. Published 2018. Accessed November 15, 2018.